When Disney unveiled the third and last trailer for The Force Awakens earlier this week, it was nothing less than a great disturbance in the Force. It’s already been viewed more than 29 million times on YouTube and spawned endless speculation ahead of the movie’s December 18th release date. The trailer was everything we could have hoped for. It had it all – Han, Chewie, Leia, Rebels, Stormtroopers, X-Wings, TIE Fighters, Jedi, Sith and more. It also left plenty to the imagination, with the plot of the film being largely unknown. Overall, it spoke to the kid in all of us that will always love Star Wars. But take off the nostalgia goggles for a minute and you might notice a few worrying hints about the Star Wars sequel. If the prequel trilogy taught us anything, it’s to temper our expectations a little. Remember, the trailer for The Phantom Menace was great, too. What might be cause for concern is just how similar this new film seems to the original trilogy, particularly A New Hope. Familiarity is great, but The Force Awakens needs to forge its own path, creating its own unique moments and characters. Unfortunately, there are some signs this isn’t the case. Disclaimer: I’m a huge Star Wars fan. I’ll probably be fighting off tears several times during The Force Awakens. Hell, I even liked the prequels as a kid (I’ve since seen the error of my ways). And I think J.J. Abrams was the perfect choice to direct the next Star Wars film. There are just a few things about the new trailer that are giving me a “been there, done that” vibe. No Man’s Sky, the sci-fi game that lets you explore a vast universe of planets, doesn’t have a release date. That hasn’t stopped gamers everywhere from powering up their hype-r drives. Hello Games’ new title stole the show at E3, taking home multiple awards for its trailer that showed a planetary pioneer discovering alien worlds and life forms before blasting off into space with a seamless transition. But coverage and excitement levels for No Man’s Sky have already reached critical level, and it’s a long way from being released. While it’s ambitious and original, there are a few reasons to reverse course. GameSpot is already fueling up on hype. While No Man’s Sky’s world has looked impressive in the images and videos we’ve seen so far, its world is generated by a set algorithm. All credit goes to the developers for creating the game’s assets that populate each world, but those assets will be reused across numerous planets. They’ll likely be recolored or recombined in different ways but the base asset will still be there. This isn’t to take away from the world-building the developers have done, but it’s been made an issue by headlines like the one above. If the editors at GameSpot really believed No Man’s Sky had the biggest game world ever created, they wouldn’t have used such a sensationalist headline. Above: Justin McCandless explains his game, Mathpx, to Education Hackathon judge Mario Vassaux. 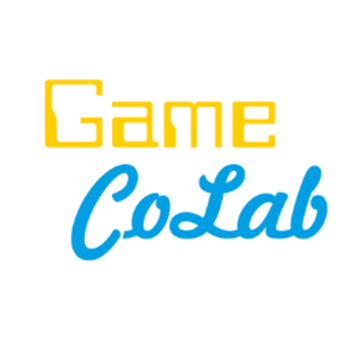 Local developers demonstrated the educational potential of games May 16 at a Game CoLab Education Hackathon pitch event. 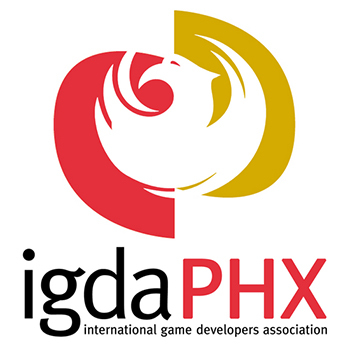 The hackathon began April 22 and asked participants to create an educational game over the course of about three weeks and then present it to a panel of judges. Four judges evaluated the eight games on four factors: fun, creativity, marketability and assessment. The winning game would be fun, feature original design, have a marketable concept and be able to measure a student’s progress and achievement. Game CoLab partnered with Pearson to host the event and provided $600 in prizes divided among the top three finishers, with $300, $200 and $100 going to first, second and third place, respectively. Justin McCandless won first place for his game, Mathpx, a learning game built in HTML5 that teaches students addition and subtraction through number visualization. A traditional math problem appears at the top of the screen while pixel balls are shown on the lower half, allowing students to manipulate problems and picture the math as they go. On April 3, Subset Games released FTL: Advanced Edition, a free update for the popular 2012 space roguelike. The update includes more ship layouts, a new race and cruiser, new combat mechanics and added encounter types. The new content is refreshing and it’s the type of update that many developers would charge for. As players launch back into FTL, they’ll quickly recall how frustrating the game can be. The smallest mistake can force the player back to the hangar, and even worse, so can simple bad luck. It’s the same type of “frustrating gameplay (and not violent content) that an Oxford study recently linked to “feelings of aggression” after playing video games. A group of Tempe-based developers has launched a Kickstarter campaign for Grave, an open-world survival horror title with randomized gameplay and surrealistic elements. Tristan Parrish Moore, creative director, spoke with Arizona Gamer about Grave, its use of Oculus Rift, the Facebook buyout, and Kickstarter campaigns as a whole. The term “gamification” means different things to different people. To me, gamification meant games like Spent, which challenges the player with surviving poverty and homelessness. The ultimate goal of Spent is to pay rent at the end of the month, but along the way it forces you to choose between, for example, putting a healthy meal on the table or keeping the heat running. While that’s a poignant example of the power of gamification, the concept can be applied to countless other areas, according to Don Low, director of marketing for local agency Mindspace. For the uninitiated, gamification refers to the use of game logic and mechanics in non-game concepts. Applications of gamification can improve user engagement, motivate exercise, improve learning, increase data quality and more. The Witcher 3 has been pushed to 2015. It’s always scary when a game is delayed, because it opens up the possibility of cancellation. Whether the result of a developer meltdown, financial problems or blatant mismanagement, there are a few games gamers miss more than others. Here’s a list of the five cancelled games that showed the most potential before their untimely demise.